I am absolutely obsessed with dips! Especially on game day. Give me a dip, some chips and/or some veggies and I’ll watch just about anything on television. 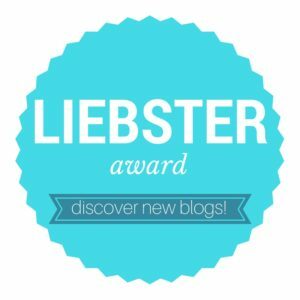 If you have a big day coming up, I HIGHLY recommend these delicious dips from my bloggy friends! Check them out below. One of my absolute favorite dips of EVER? Velveeta and chili! Ohmigosh! Have you ever had that? All you need is a pound block of Velveeta cut into 1/2 inch cubes and a can of chili. You can do chili with beans or without, but I’ve always preferred without. 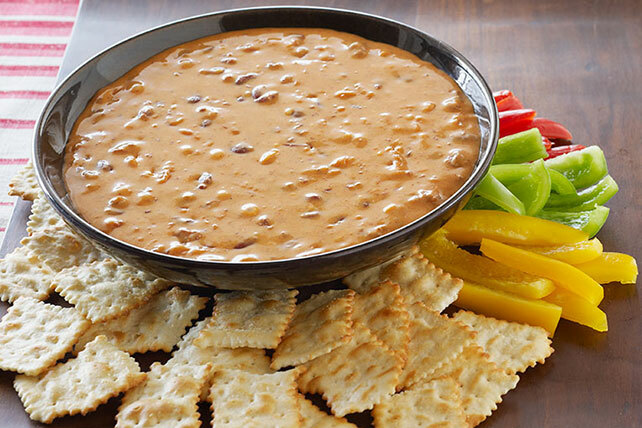 I’ll throw the ingredients into a crockpot on low about an hour before game time, stir every 15 minutes, and by the time everyone arrives and gets settled we’ll have a bubbling chili cheese dip. YUM! Sometimes it need to be cranked up to high for a few minutes to get it all melted, but this dip is a crowd pleaser EVERY TIME! What are your favorite dips? I’d love to know in the comments below as I’m always looking for something new and delicious to serve…or just eat on my own while binge watching Chuck! haha! 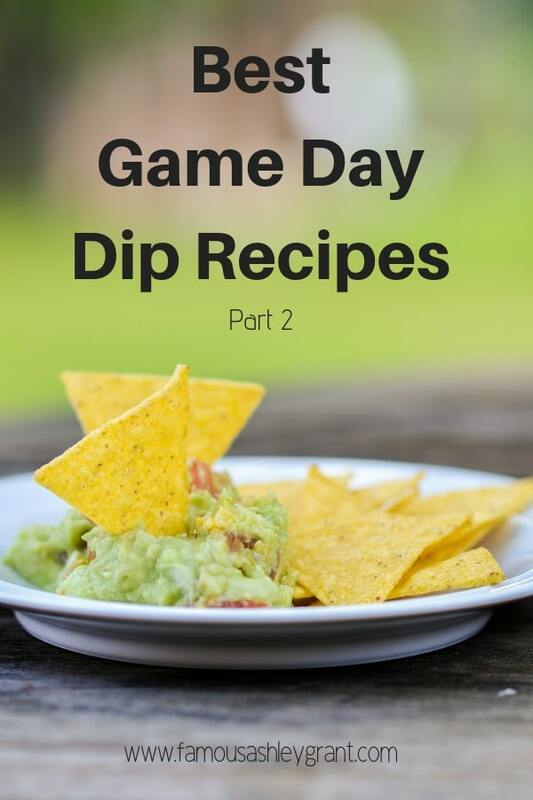 Also check out part 1 of our Game Day Dip Recipes Roundup! How do you dip for game day? I love me a good dip. Yep! Dips are like the greatest thing of ever for tortilla chips, potato chips, all the chips! And, many of them go great with veggies. I’ve even been known to take a dip and transform it into a marinade or salad dressing….ya know depending on what’s in it. Yum-o! In other words, in case you haven’t guess, I LOVE dips! 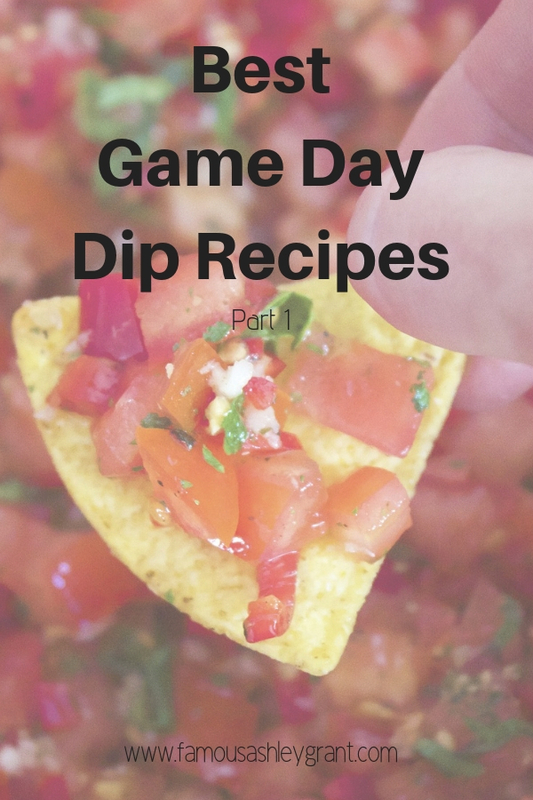 That’s why when the Big Game was approaching, I asked my bloggy friends for their best game day dip recipes. They did not disappoint! In fact, they gave me so many, I had to break it down into two posts. WOWZA! Check out some of their recipes below! Easy Guacamole Recipe – Best Ever Authentic Mexican Restaurant-Style! How awesome is that starting line up? I want to eat all the dips! Just me? Do you feel my dip desires? Okay, wait…that got a little weird. The point is, I love how versatile you can get with a dip recipe. What’s the craziest dip you’ve ever eaten? Or, what’s the craziest thing you’ve ever dipped and eaten? Leave a comment below and tell me about it. One of my favorite dips is fruit into a chocolate dip y’all. Especially strawberries. I LOVE gooey chocolate on a fresh and juicy strawberry. Now that I’m drooling, I’m heading to the kitchen to make…well… DIP! Until next time, my your page views be high, and your bounce rate be low! 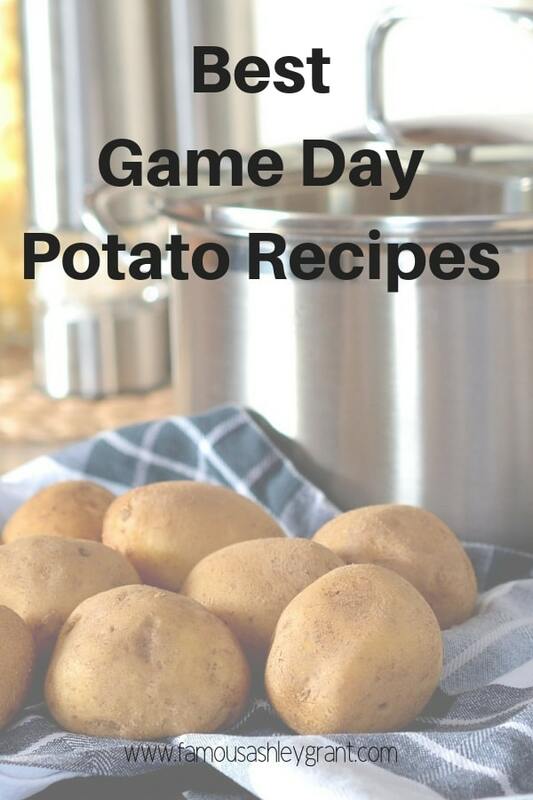 Also check out part 2 of our Game Day Recipe Round-up! You know what’s awesome about the potato? Just how versatile it is! You can mash them, bake them, boil them, broil them, fry them, slice them and all the things. Each way you make them is more delicious than the next, and they are the ultimate comfort food. Y’all, they hooked me up with such yummy recipes I might just have to start growing my own STAT! Check out the awesomeness they sent me below! Now, I wanna hear from you! What is your favorite way to eat a potato? Or, if you don’t do white potatoes – what’s your favorite way to eat sweet potatoes? I gotta say I’m kind of addicted to sweet potato chips these days. I know, not exactly the healthiest way to eat a sweet potato, but it’s better than a bowl of cookie dough, right? I’m suddenly in the mood for French Fries. Weird. Do you think it’s because of this post? 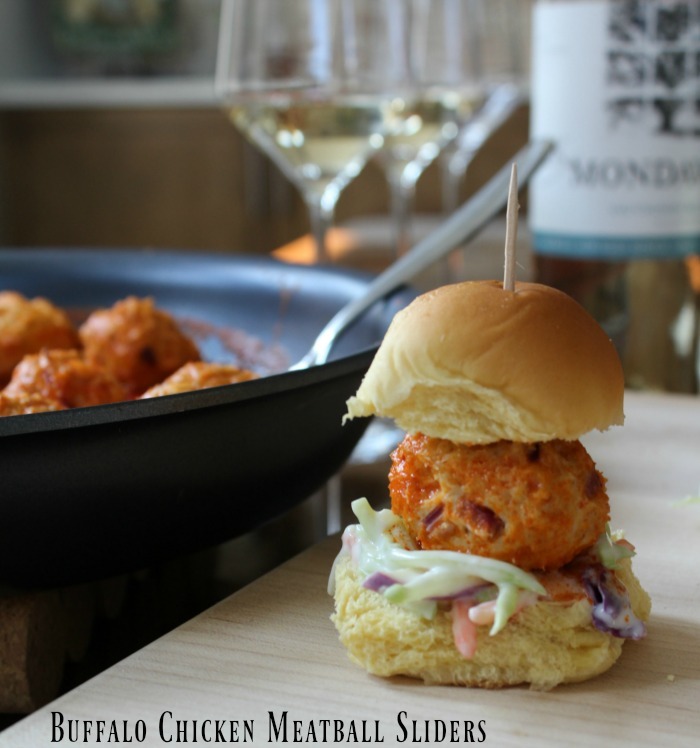 Hmmm… Anywho… I hope this post gave you some fun ideas for your next football party! 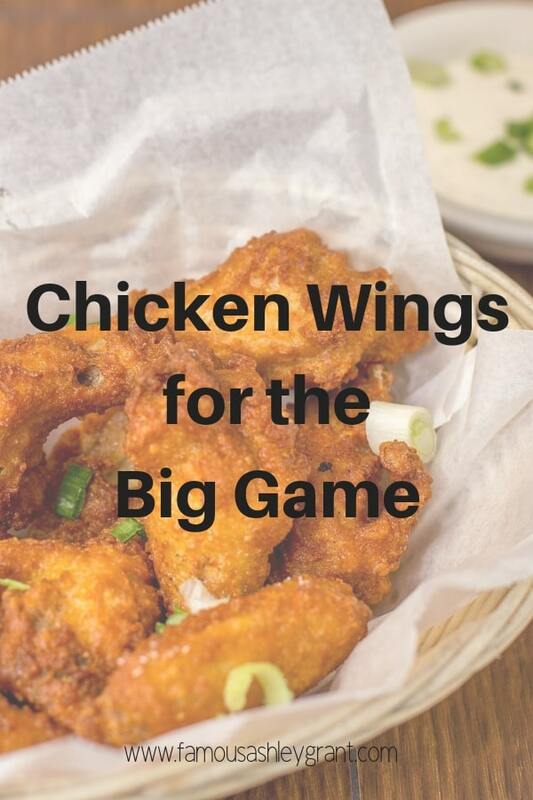 I don’t know about you, but I can’t imagine a football game without chicken wings somewhere on the menu. I LOVE chicken wings! That’s why I went to my bloggy friends and asked them for their best chicken wing recipes. Check out a few of the options they sent me! They all sound like a winner, winner, chicken dinner to me! Super Bowl 2018 is fast approaching! 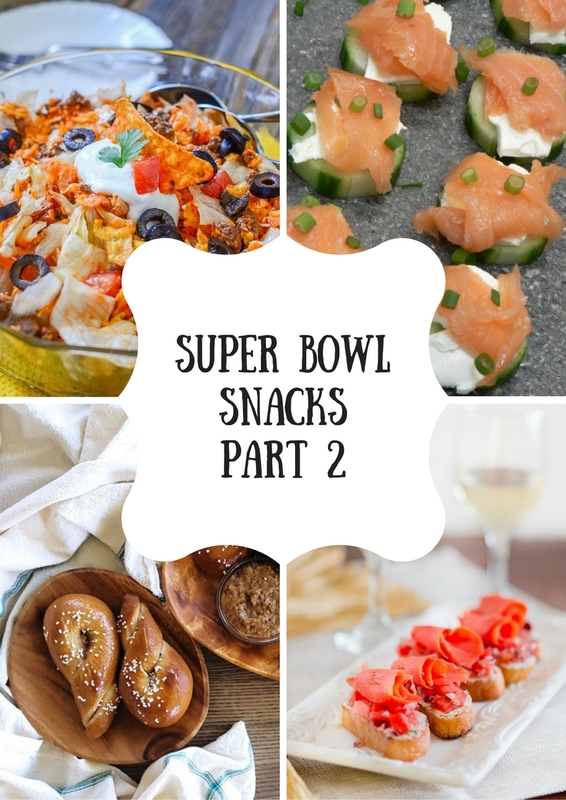 Yesterday I posted 29 snacks perfect for game day, and today I’m back with part two of my recipe round up from my bloggy friends. They just have the best food ideas EVER, don’t you agree? 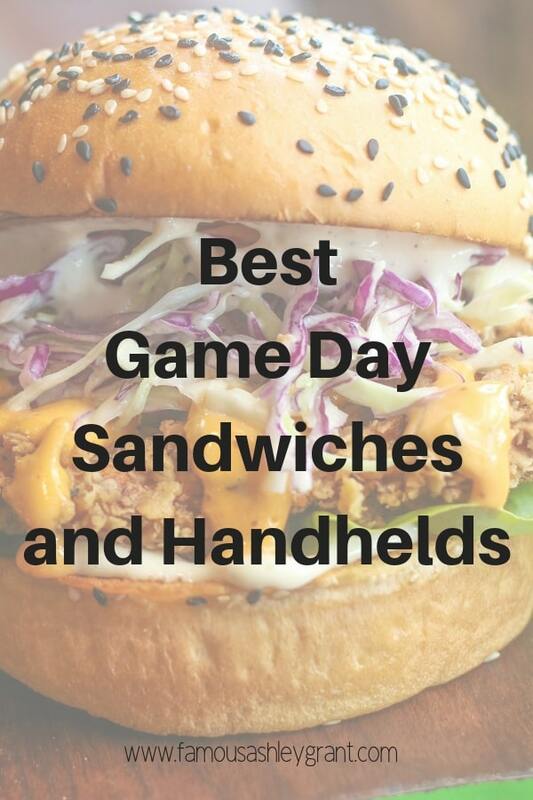 Check them out below, and then let me know your favorite Game Day bites! Chili Cheese Cups — A Leftover Chili Recipe! Stumped for what to serve your guests for Super Bowl 2018? Then, you’re in luck! 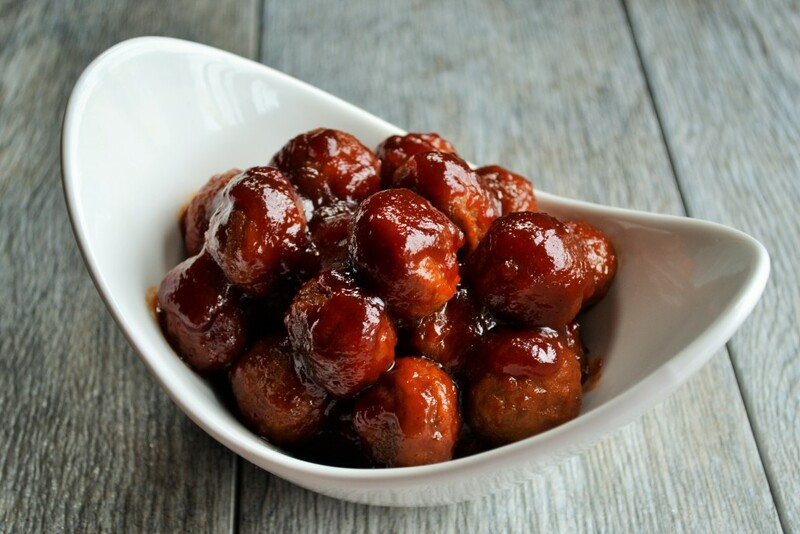 I asked my bloggy friends for their best snack recipes for game day, and they did NOT disappoint. Below you’ll find 29 amazing recipes that are sure to wow your guests, and tickle your taste buds! 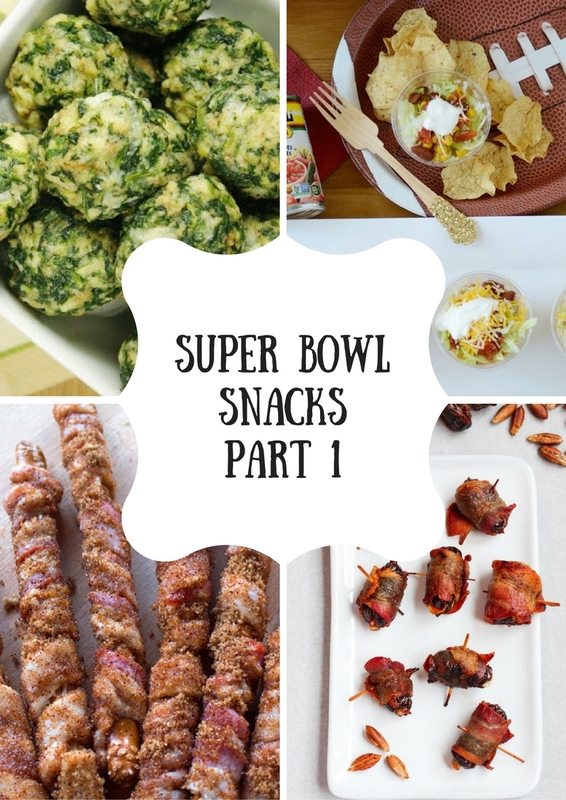 Check them out, and then be sure to come back tomorrow for part two of my Super Bowl Snacks Round up! I just love getting together with friends to watch the big game. The trouble is that with the big game comes a lot of calorie laden snacks. The good news is you can still have yummy snacks without the fatty punch with the additions of – veggies! If you’re anything like me, you want to have all the fun without feeling guilty afterward. 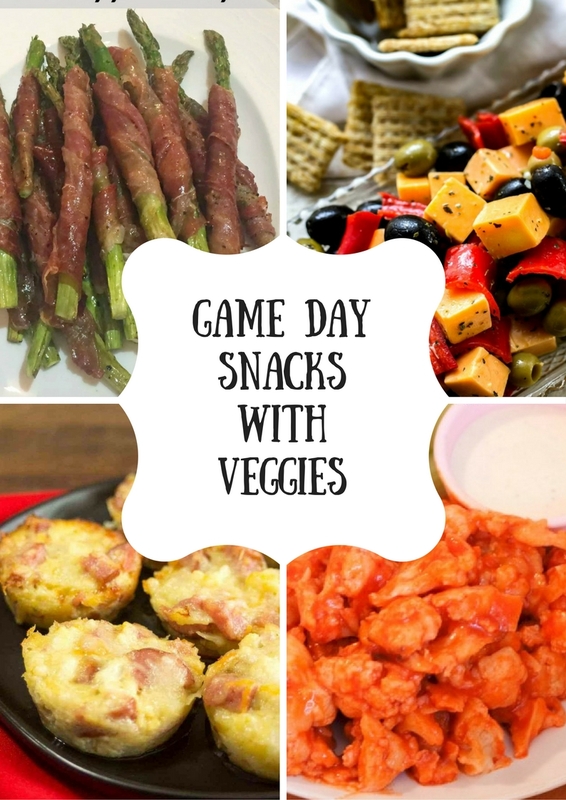 That’s why I’m thrilled to share this roundup of more than two dozen game day snacks where veggies are the star! Enjoy! Paneer and Spinach Swirls – LET’S COOK HEALTHY TONIGHT! 2. There are so many different flavors you can create with them! 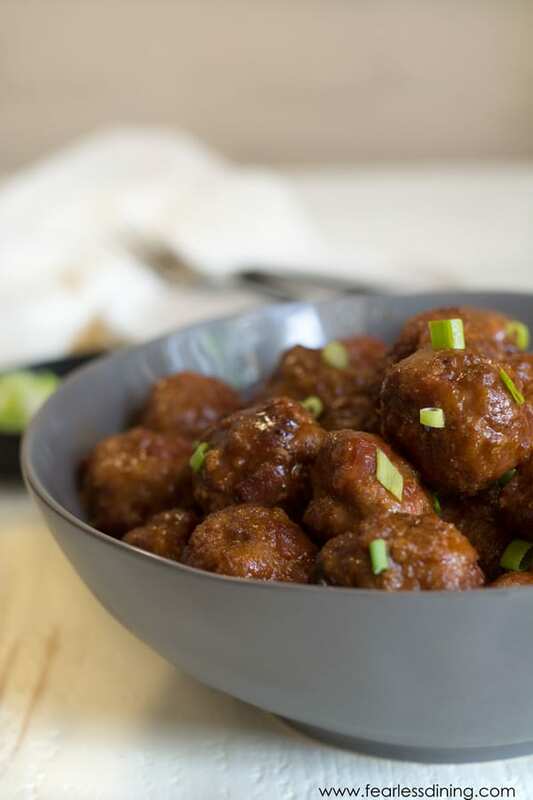 That’s why I was stoked to find these 10 meatball recipes. Enjoy! Got an email today that put something in perspective for me, and confirmed a thought I’ve had for a while….you can’t rely on a SINGLE source for your business to succeed AND maintain success. The email I got was from a lady I’ve been following for a bit…her Youtube channel was randomly deleted by Google and she is fighting to get it back. There was nothing she did that caused it, it was a legitimate glitch that caused it to be deleted. And, the reality is it may be gone forever with no recourse, or anything she can actually do about it. This happened with a website of mine years ago – I didn’t own it completely and it randomly got deleted after a hack from a hacker in a foreign county. Still hurts thinking about that loss honestly, but back to the Youtube gal. The problem? She has built a significant portion of her business via Youtube. She receives most of her leads and hence makes most of her business income thanks to Youtube. Where are your promotions at online? This is similar to something I’ve seen other business owners doing – building nearly all of their business on Facebook, or Twitter or Linkedin. Building your brand across multiple platforms is great, but you must make sure that no matter how you’re promoting yourself that you’re not relying on JUST ONE platform. If at any given moment it vanishes, it could cripple your business. Now, this lady is pretty resourceful, and I’m sure she’s collected many email addresses and will ultimately be fine. However, the difference is she has been doing this 6 years and may be able to recover faster than other people who are still new in business. I’m not 100% sure what will happen for her, but obviously I’m wishing her the very best. Don’t focus all your promo efforts on one platform! 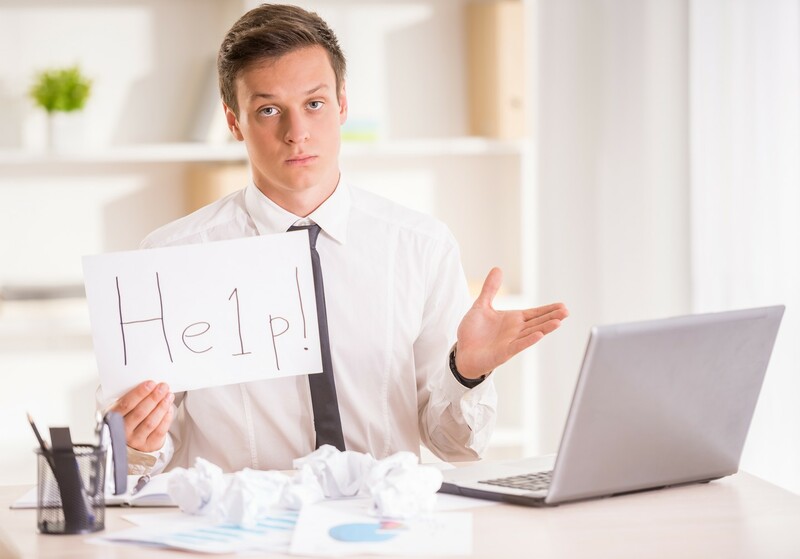 The bottom line is, don’t rest all your business plans on one platform. Especially one you don’t own. You must realize that when you do that if the platform ever vanishes or your account is randomly deleted, it can cripple you. In all honesty, this is why I’m a huge fan of cross posting. I’ll take the same piece of content and use it in multiple ways so that no single platform is ever getting all of the focus. Some people have called me crazy for doing this and have said I could build my business faster if I would just focus on ONE. But to them I say this – if Facebook vanishes tomorrow, I’ve still got Twitter. If Twitter vanishes, I’ve still got Linkedin, and if they all vanish, I’ve still got my website and my personal database of contacts. I won’t quit, and hopefully it means I won’t fail. I felt compelled to share this, and I hope it gets you thinking about how you’re promoting yourself. I also hope that you avoid focusing all of your energy on a single platform you don’t own. Happy Monday my fellow entrepreneurs!